Composters Needed for Flower and Garden Show! Come Enjoy the Sight at Worm Night! Sign Up Now! Announcing the 2010 Master Composter Series at GPC! Training Workshops - October 2, 9, and 16, 2010 from 9:00 a.m. to 3:00 p.m. 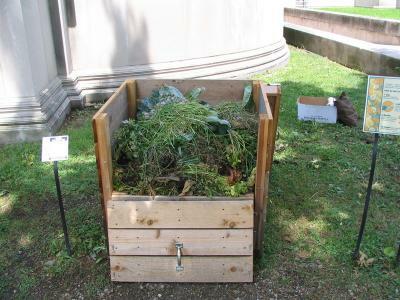 Learn the art and science of urban composting and techniques for teaching others. This hands-on intensive 15 hour training program held at the Garfield Park Conservatory, 300 N Central Park Ave., includes basics of indoor worm composting and outdoor composting, science of composting and educational methods practice. Each participant will receive a worm composting bin to use at home. Master Composter training hours can be used to satisfy general Master Gardener education requirements. 15 volunteer hours of community outreach from October 2010 through September 2011 will be required for participation in the Master Composter program. Hours can be completed at various compost education centers, school worm composting programs or through individual outreach projects. Master Composter outreach hours satisfy general Master Gardener service requirements.